You are warmly greeted and transferred to your hotel on arrival. In the afternoon, set out on a tour to visit to the Dragon Bridge- Danang's fiery new success symbol then head to Cao Dai Temple which was built in 1956 and is Vietnam’s second most important Cao Dai temple after the one in Tay Ninh. 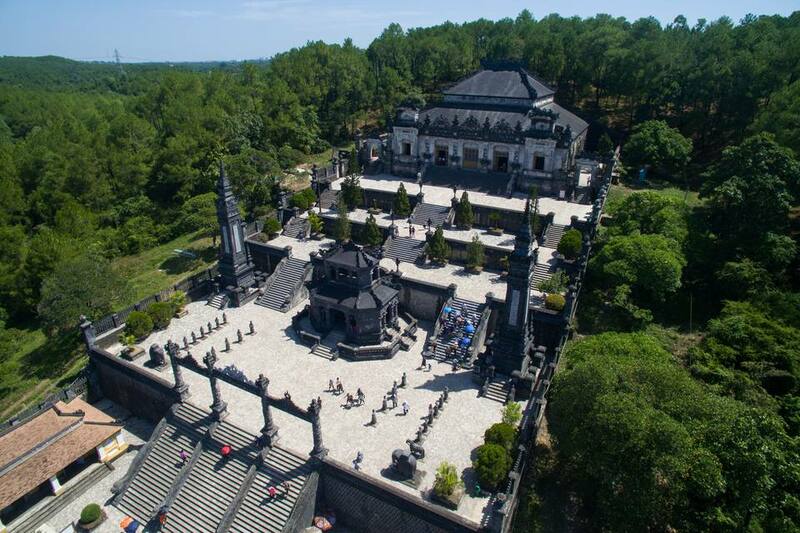 Located in a quiet neighbourhood of Danang city, the temple is a serene and peaceful place, dominated inside by the all-seeing eye of the Supreme Being and paintings of Cao Dai’s principal saints, Lao-tzu, Confucius, Jesus Christ and Buddha. Next, make a stop at visit to the Linh Ung Pagoda, located in Bai But area at Son Tra peninsula and considered as the most magnificent work of this kind in the city of Da Nang in Central Viet Nam, in terms of architectural and artistic value. The Guanyin Statue in Linh Ung Pagoda's courtyard is the highest one in Viet Nam to date at 67m in height and 35m in diameter at its base, which is as high as a 30-story building. 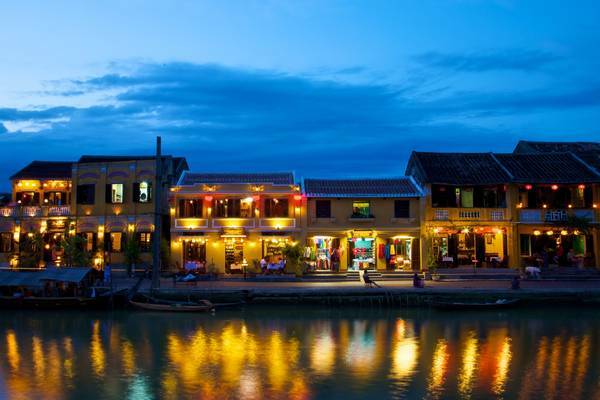 Later in early evening, meet up your guide at the lobby and transfer you to Hoian which was a prosperous trading port. Today, this World Heritage-listed ancient town boasts well-preserved buildings, pedestrianized streets and unique cuisine, allowing visitors a glimpse of its illustrious past. The narrow lanes are ideal for a guided walking tour. There is plenty to visit including the old merchant’s houses with influences from Chinese, Japanese and Vietnamese architecture; the 400-year-old Japanese Covered Bridge; the Assembly Hall of the Chaozhou Chinese Congregation with outstanding wood carvings; and the colorful market with stalls brimming with local specialties including silk, which can be turned into fashionable garments within a day or two. Savor a breakfast at your hotel then we embark 2.5 hour drive from Danang city through the Hai Van tunnel to Hue which once served as an imperial capital to the Nguyen Lords from the 17th to the 19th century. With splendid emperors’ tombs, ancient pagodas and the remains of the Citadel, the city retains its royal charm. First, pay a visit to the Imperial Citadel, a UNESCO listed site. Enter through the towering main gate and you will appreciate the magnificent architecture and gardens while your guide explains about the events and the intrigue of the former royal court. Despite being bombed heavily during the war years, there are some incredibly well preserved sections still intact and others which are being lovingly restored. After lunch at local restaurant, we continue visiting the serene Tu Duc Royal Tomb, designed to blend in with its natural surroundings and built on principles of Feng-Shui. Finish the trip at t he elaborate Khai Dinh Royal Tomb. Its architecture showcases elements of both eastern and western design. Transfer to your hotel. After breakfast, embark on 3- 4 hour drive to Quang Binh, Make a stop at the Ben Hai River and Hien Luong Bridge, which is situated in the Demilitarized Zone of the Vietnam War. The zone was established after the first Indochina War and functioned as the division line between North and South Vietnam during the Vietnam War. Enjoy your lunch en-route then continue to Paradise Cave founded in 2005. The newly discovered cave is considered as the largest and the most beautiful cave in Phong Nha- Ke Bang area. With naturally primitive features Paradise (Thien Duong) cave looks like a landscape painting, making it very attractive to visitors. This morning, we return to Hue city for your onward flight. Accommodation is inclusive of hotel tax, hotel service charges and includes daily breakfast. Wet towels and water on sightseeing days.